Very briefly: I’m going to start posting again, but I think I’m going to ease into it first… let’s see how one post a week goes until I get back into the swing of things, shall we? I’ll talk a little bit about my hiatus in a future super-boring post, but for now (if anyone still reads this thang), let’s just get right back to the main event: ridiculously dorky nerd art. I have purchased Tron: Legacy toys. 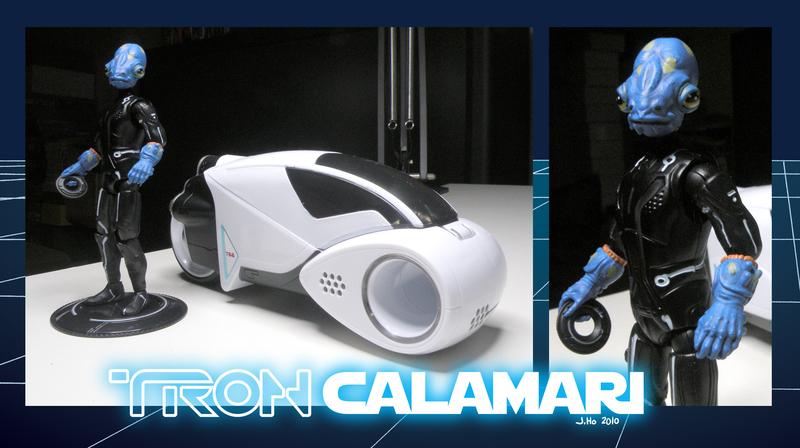 I have made a custom Tron Calamari figure. 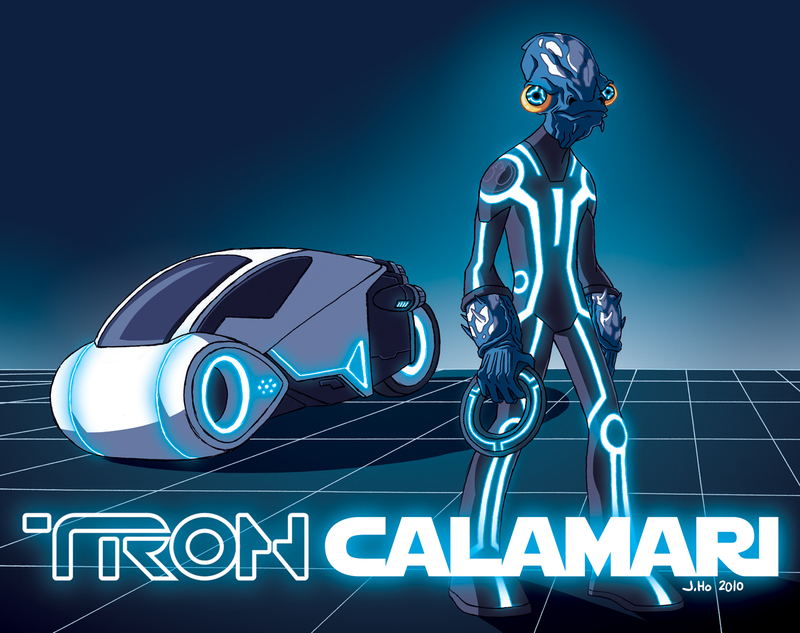 I have drawn dorky fan-art of Tron Calamari. I am listening to the Tron: Legacy soundtrack at home, in my car, and at work. I have been flipping through the pages of the Tron: Legacy artbook. … but have tickets for a 3D IMAX screening on Saturday morning. It feels good to blog again. If you’re reading this, thank you.